We love dirt! Certain dirt is better but, as mountain bikers, all we really care about is that what we ride on isn’t pavement. In terms of the interface between our tires and the earth, all we really want to feel are the rubber knobs sinking into the soft, tacky, loose filth beneath. But (and this is a big but) to get there, more often than not we need pavement. And sometimes we need a lot of pavement. Sometimes we need so much pavement, it must come in the form of a freeway. I live by a freeway and chances are you do, too. 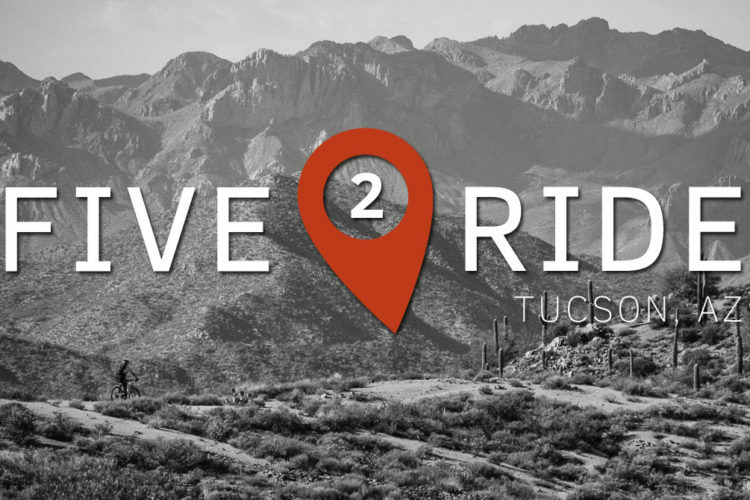 Chances are also pretty good that, if you board a freeway near you, it’ll take you to or near a cool mountain biking trail. In this way — a backwards, paradoxical, and ironic way — pavement becomes an artery that literally feeds an expansive capillary system of trails. Many trail builders capitalize off of freeways, highways, byways, and all manner of -ways because it’s easier to build, maintain, and ride trails with good access. Interstate 5 is one such freeway that not only leads to a number of trail networks, but some really, really great ones. I-5 runs north/south from the Canadian border near Vancouver, BC to the southernmost tip of California. 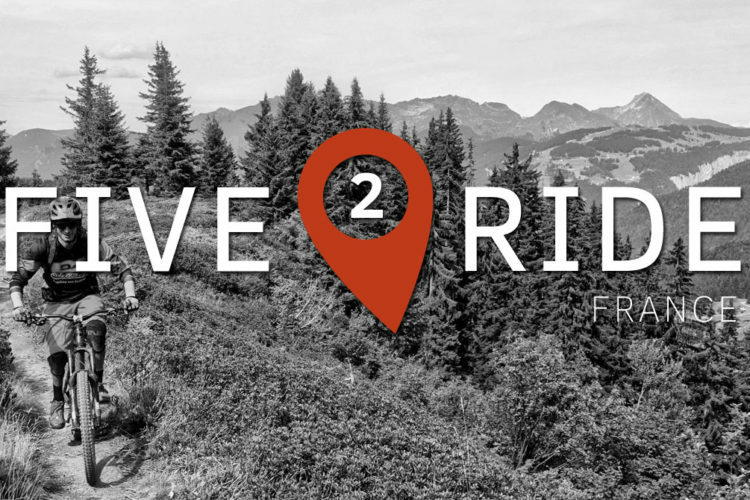 In the state of Washington, I-5 is situated along the western border of the Cascade Mountain Range and cuts straight through Seattle, making it a great option for both big city touring and classic Pacific Northwest riding. 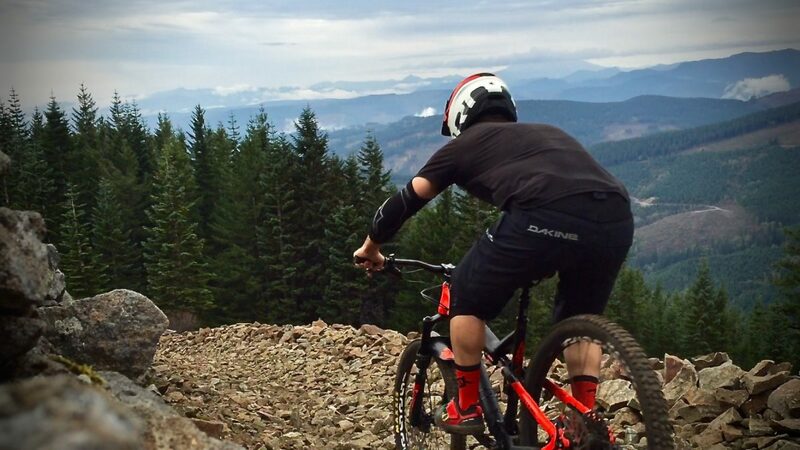 Here are the five must-ride mountain biking trail networks located just minutes away from Interstate 5 in Washington State. 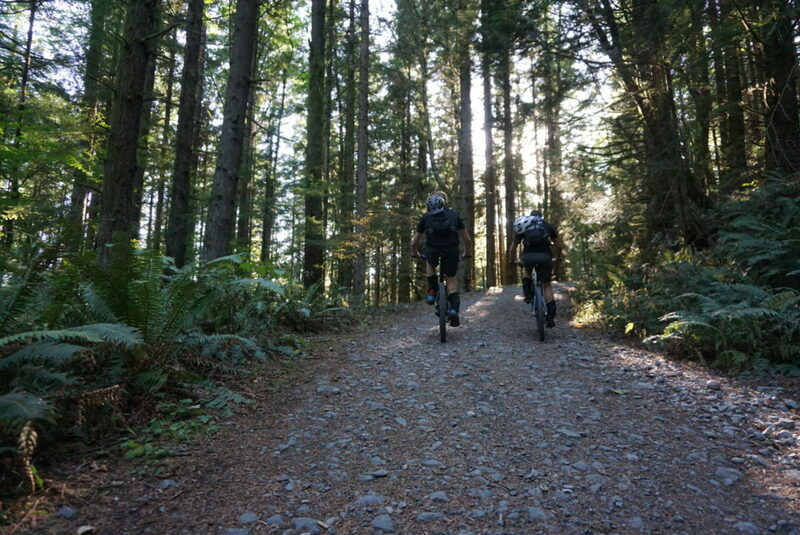 Kicking off the Washington I-5 countdown is the trail system closest to the I-5 and rated Washington’s favorite riding zone by Singletracks readers: Galbraith Mountain. Once you hit Bellingham city limits, the nearest trailhead is less than 10 minutes from the exit. To say Galbraith (Galby) is an “extensive network of trails” is as much an understatement as “Red Bull Rampage is pretty dangerous.” The small geographic area that is Galbraith Mountain is teaming with trails featuring all manner of flow, gnar, steep, fast, loamy, buff, and features both man-made and natural. This was the first of a few stops on our mini road trip through Washington last summer, but after one lap down Galbraith, I wasn’t sure I needed anything else. It is that good! Many a first-time rider has become frustrated while attempting to navigate the highly-concentrated network of trails at Galbraith. 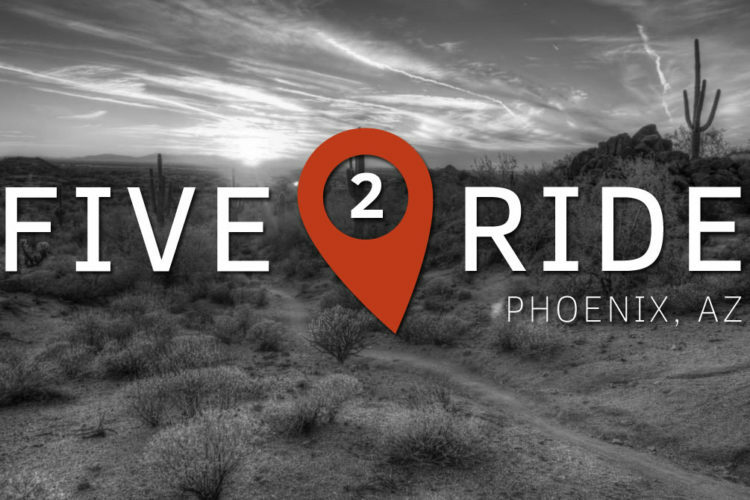 You won’t likely ride for more than 10 minutes at a time before intersecting another trail and stopping to check your map. 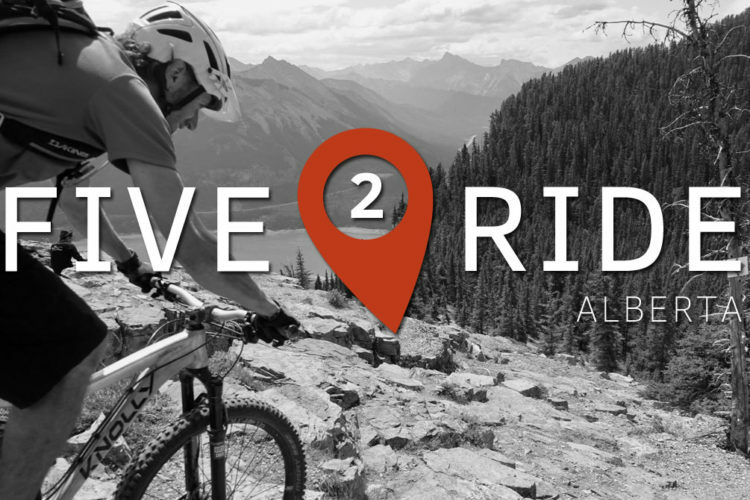 With a little help from local riders, one of several local bike shops, and a map from the Whatcom Mountain Bike Coalition, we honed in on just a few choice routes from both the north and south side parking lots. From the south side, your goal is to reach the top of Lookout Mountain — marked by a set of radio towers — where Evolution and Scorpion begin a screaming descent to Unemployment Line or Irish Death, followed by either Atomic Dog or Radical Dragon. Loop back up to mix and match any of the six (or more) aforementioned trails. From the north side, we enjoyed the views while climbing up the Ridge Trail before linking the Intestine and Son of Sam Trails to the ultimate rip down Golden Spike and SST. 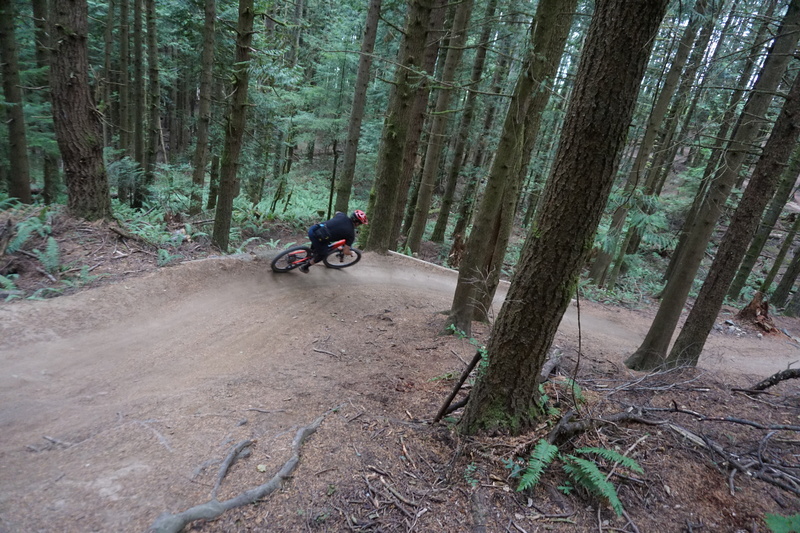 Whether testing mad skills or building new ones, braaping with bros or tagging along with the littles, banging laps on the long travel or sessions on the DJ, Duthie Hill Park is the epitome of the something-for-everyone ride zone. 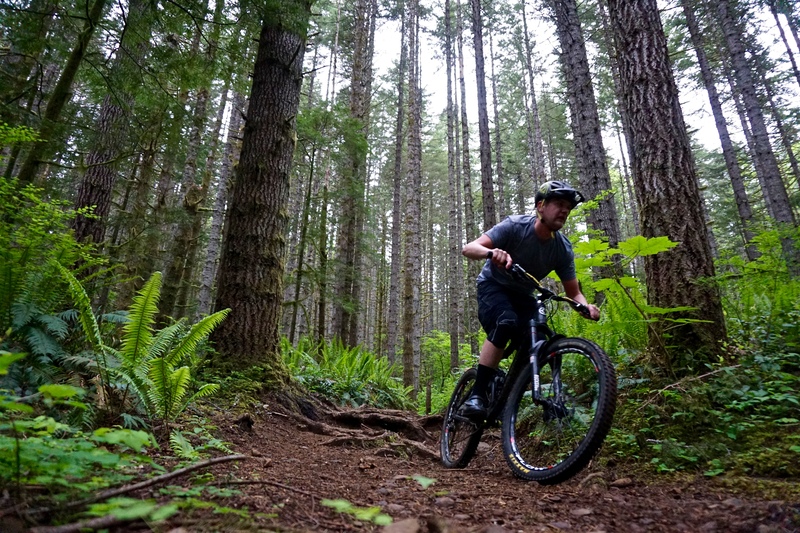 Located on the Issaquah Plateau outside of Seattle, Duthie packs quite a punch in 120 acres of low elevation, wooded forest. 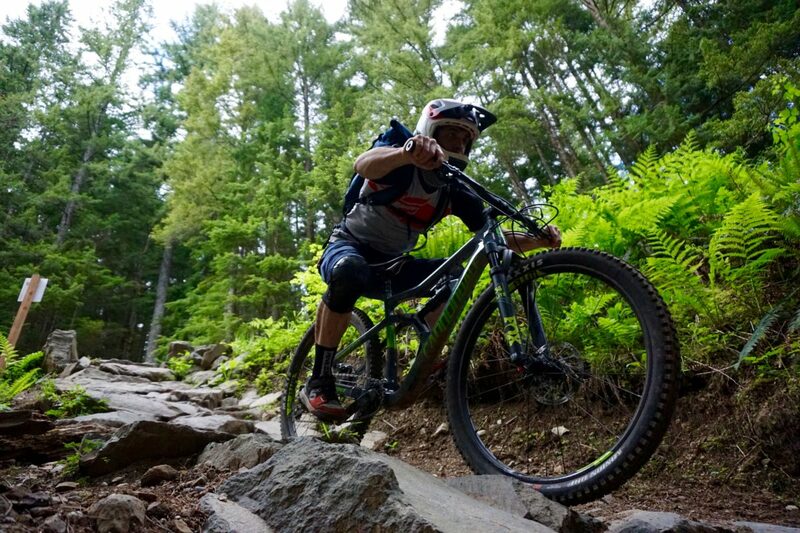 And, thanks to an army of volunteers and expert trail design under the guidance of Evergreen Mountain Bike Alliance, you can expect to ride Duthie almost any day of the year. 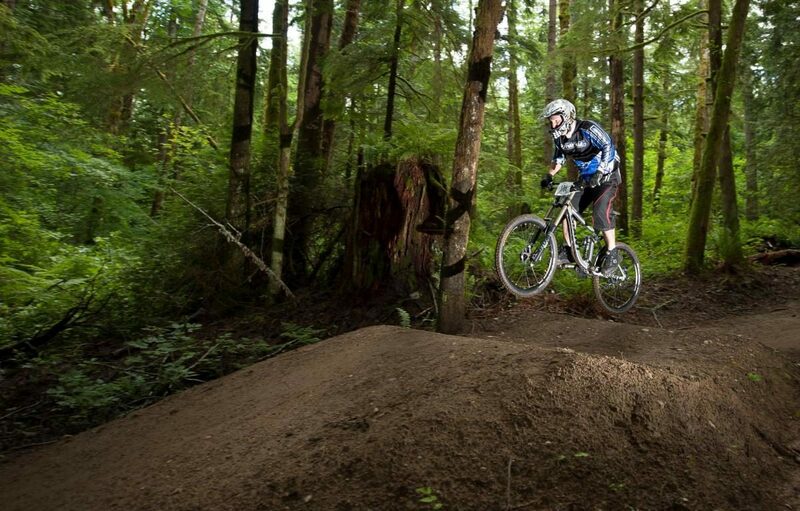 A 2.5-acre clearing at the center of Duthie Park serves as the main hub where a multitude of trails converge. The four designated XC trails start and end near or at the hub and loop out and around to the park’s border. The XC singletrack, Boot Camp and Step It Up, are buff, flowy, and bermed, while Movin’ On and Braveheart throw in some logs, ladders, drops, and skinnies to keep things interesting. 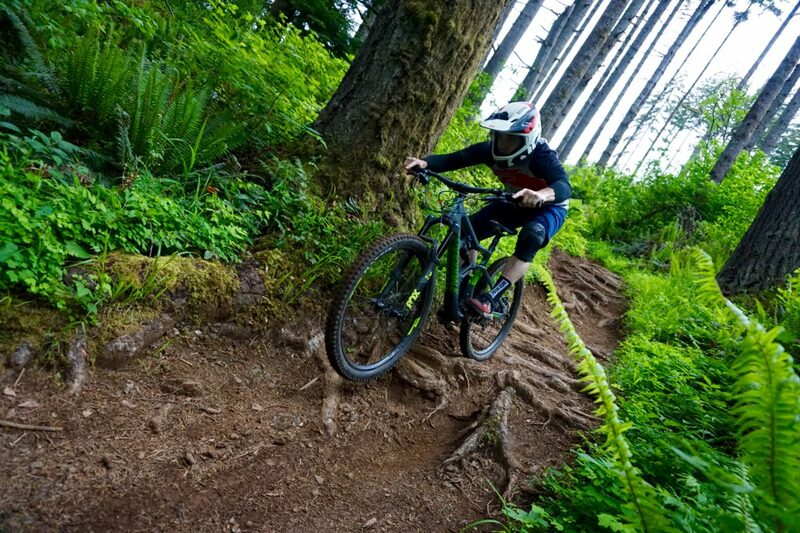 While it is possible to link all the XC segments together for a Duthie-style “epic,” the park mostly caters to lap-style riding and sessions on the much shorter trails contained within the park. These short thrashes are built for flow, freeride, and jumping. Whether a novice to mountain biking, advanced to the max, or just “freeride curious,” Duthie features are built for both cutting freeride teeth and keeping them sharp. With a name like Tiger Mountain, who needs any more persuasion to ride it? Like the carnivorous cat, the trails on Tiger are fierce, daring, and among the most aggressive in the Evergreen State. For those readers in the Northwest, if there were ever a movie made about a set of unlikely trail systems separated at birth, Sandy Ridge would be played by Danny DeVito and Tiger Mountain, Arnold. Although Tiger has a good mix of trail for a variety of skill, there’s nothing “green circle” about it — the further you delve into Tiger, the more extreme and difficult it gets. For better or worse, a common layout among Northwest trail systems is a 3.5 to 4-mile slog up a gravel road to a set of radio towers with a killer view, with rowdy singletrack descending back down the mountain. Because of this layout, many bikers in the Upper Left never let the sun set on a shuttle opportunity, but many roads, like those in Tiger, are closed to motor vehicles. So, we climb a lot of fire road. As of 2016, Tiger introduced the Master Link Trail — a 2.5-mile singletrack climb and welcome alternative to the long, steep, and exposed road to the top. A full tour of Tiger entails about 20 miles — about 15-20% of which requires navigating dirt road to connect to most trails. Whether it’s pump and flow, tech gnar, or steep and deep, Tiger Mountain trails are full of surprises, and none ever seem to let up. Whether heading for Portland or the Canadian border, Capitol Forest is the perfect spot to stretch those legs at the halfway point along I-5. Capitol Forest is a solid 30-minute drive from the interstate just west of Olympia, Washington. Before last season, Cappy was no more than an afterthought in my mind — like an unnecessary, fast-tracked, cash-grabbing movie sequel I was dying to watch… as soon as it became available on Netflix. That mindset was unfortunate, as I found Capitol Forest much more in line with the likes of a summer blockbuster! Our first visit to Capitol Forest was a detour on the way up to what we thought were bigger and better trails, so we didn’t put in much time at Capitol. Fortunately, later that summer when race season was in full swing, I jumped at the opportunity to get in on an Enduro™ race held on Capitol Forest trails. Similar to Galbraith, Tiger, and Yacolt Burn, you can make quick work of the climb to the top in about four miles of forest road. Much of the road to the mountaintop of Capitol Peak is paved and the gravel portion is well-maintained, making shuttle options easy. According to the Washington DNR, Capitol State Forest boasts more than 90,000 acres, 166 miles of singletrack, and 575 miles of road. 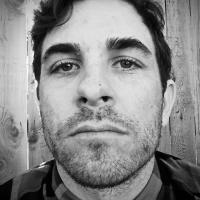 You might want to source a good map or make quick friends with some locals at the trailhead so you don’t get lost. 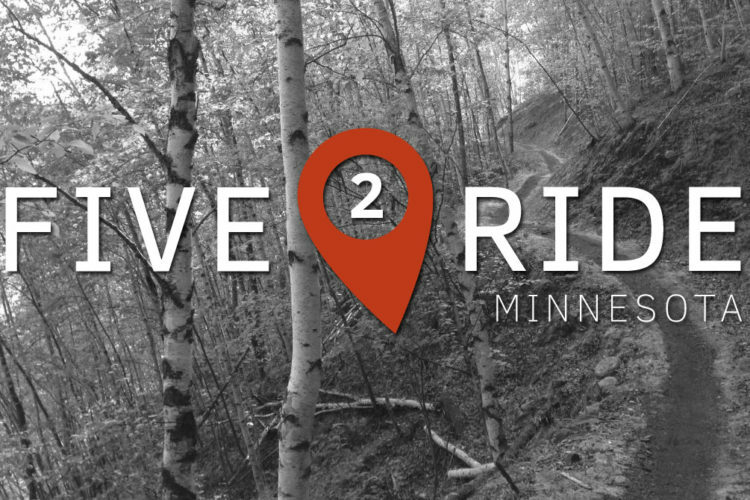 Surprisingly, the Capitol State Forest website has done an excellent job describing its hundreds of miles of singletrack and ride options for new visitors. The State Forest is also rich in campgrounds, day-use spots, and multi-use trails for moto, hiking, and horseback. At about 40 minutes from I-5, Yacolt Burn area trails are the furthest from the freeway on this list, but they’re well-worth the detour. 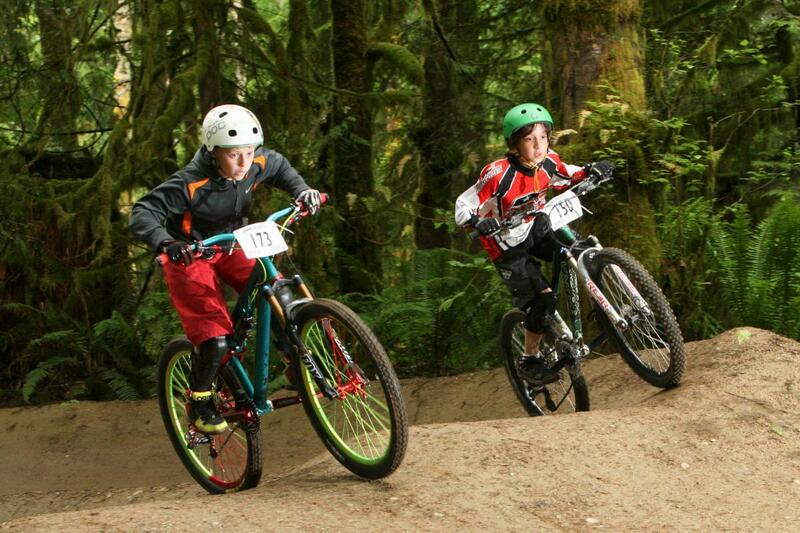 Yacolt is home to one of the best downhill trails in the state of Washington, enduro stages included in previous Cascadia Dirt Cup races, and a certain raucousness of its own in a lush Northwest setting. Also unique to Yacolt is a 25-mile stand-alone backcountry loop with multiple access points and a four-mile downhill finish. Thrillium aptly describes a 1,600-foot descent over 2.5 miles that was built for downhillers, by downhillers. Never mind the grade, Thrillium is littered with huge step-downs, drops, berms, doubles, gaps, hips, and 30-foot tabletops. Lucky for some of us average riders, no feature–regardless of its massiveness–is mandatory, and all can be rolled or skipped via ride-arounds. That said, if you are sending it, you’ll need to clear these features as accurately as possible, as most of the trail exists in a raw, natural state. If you’re not feeling up to the demands of Thrillium, try a scaled back, longer version on the Cold Creek Trail. 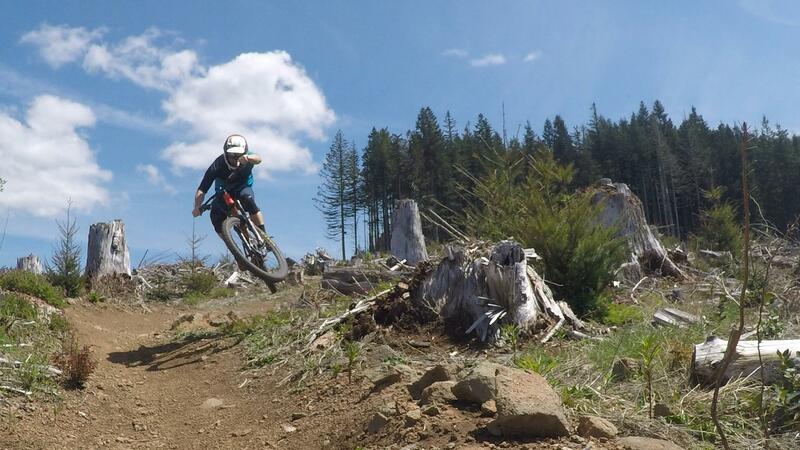 Cold Creek serves up the loose and loamy, beginning on the top of Larch Mountain. If circumventing the entire ride on the lengthy Tarbell Trail, this is also where you’d want to begin the final four of 25 miles. 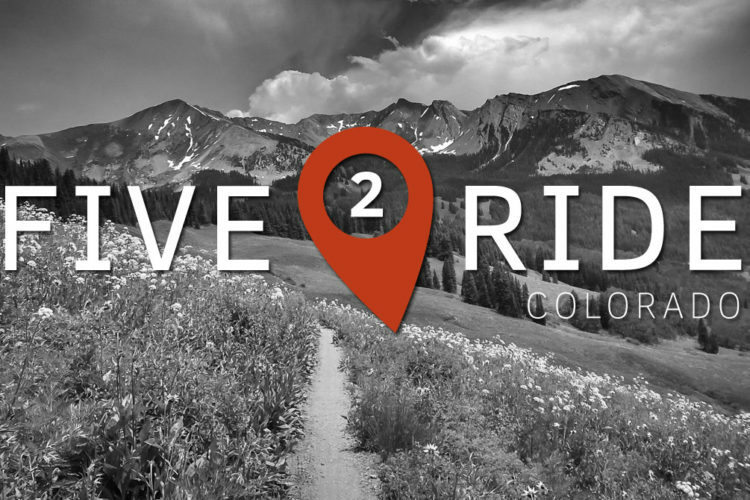 If not looking to venture for hours, Cold Creek can be accessed by riding straight up the trail as an out-and-back, using fire road L-1070 which ties into upper Cold Creek singletrack, or a shuttle/pedal from the top of Thrillium. Both Cold Creek and Thrillium end at forest road L-1000 next to a bridge about 1.5 miles east of Larch Corrections Center. 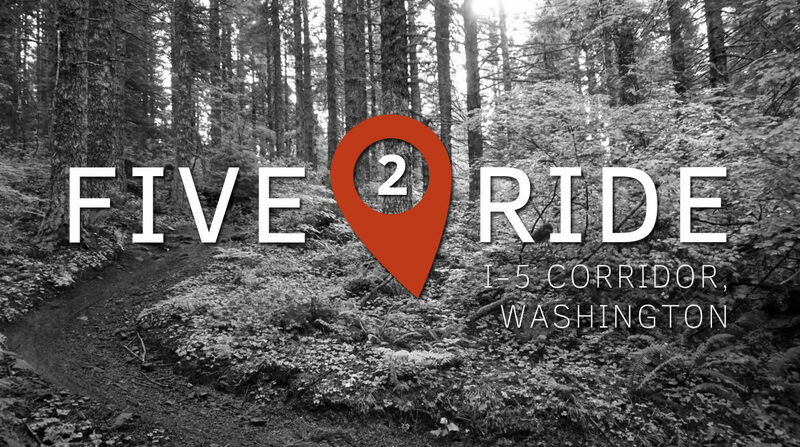 Washington’s Interstate 5 is chock-full of trail systems just 10-40 minutes off the pavement. While trail proximity to a freeway isn’t unique to Washington, what I think is most outstanding is how many incredible systems lie within the four-hour drive from Bellingham to Vancouver, WA. I’ve laid out five of my favorite, but there’s so much more. Your turn: Do you live in Washington near I-5? If so, where do you ride? We are also working on a new downhill trail that should be finished by late spring. Let us know if you’d like someone to take you out there sometime. We would be happy to show you!